I believe is vanilla enough to deserve a tag! 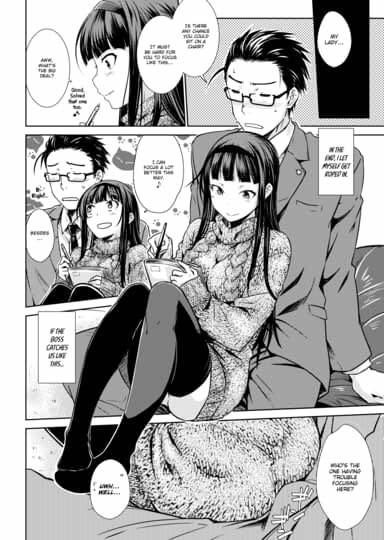 Anyway is a cute story! I love how his boss forced him to continue a call while driving, and then berated him for not driving carefully, LOL! She was sexier than expected whew. She definitely gave a great response to his question on what to do if they get caught. Get married, eh? I definitely support that thought! In fact, do that too even if you don't get caught! Great ending. He's even prepared to take full responsibility and, what, talk to her father about it? What a great guy. Also I feel like this warrants a Vanilla tag. She knows what she wants and how to get it. *nods* And it's not like he terribly minds either. Can we get to see how he takes responsibility? Please? Pretty please? "Why don't we get you starter with her this weekend?" 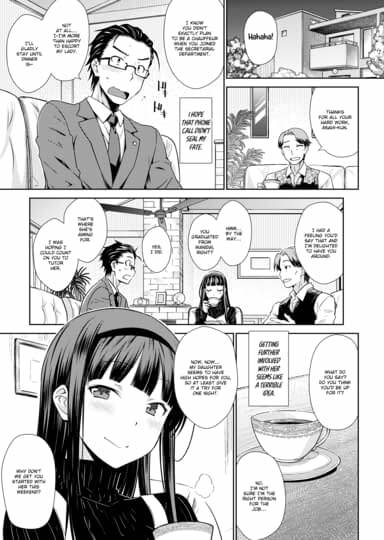 'Ojou-Sama' made Makoto-kun "an offer he couldn't refuse" ... and who could find fault with him for doing so. Granted he promised to "take responsibility", we'll trust he gets the father's Approval, and avoid becoming a Dead Mo-Fo like that other Makoto featured in "School Days".